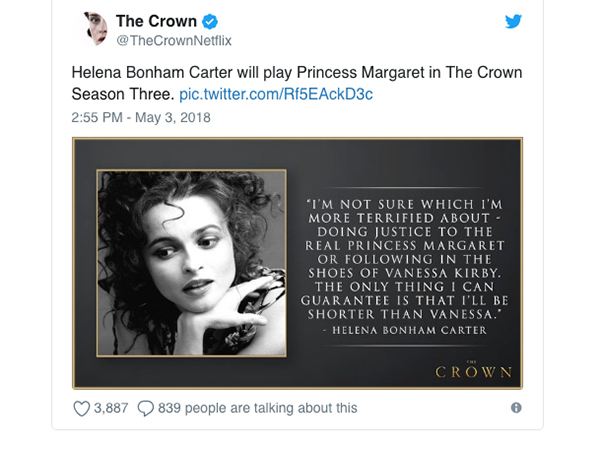 As soon as we see anything related to The Crown, we get excited, and this time is was because they have announced the cast for season three. A netflix drama that got many people hooked to the telly due to its hugely successful portrayal of the reign of Queen Elizabeth II. Perhaps because many people can relate to the Queen, this drama has been such a winner. Others before it have concentrated on monarchs and the royal family from centuries ago. But with The Crown, we get to look at the current monarch and how she progressed through the years of her reign and the, although somewhat dramatised, events surrounding her life as Queen. 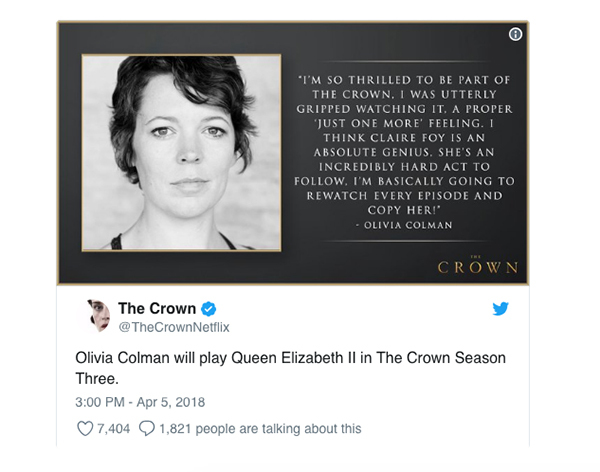 Olivia Coleman, who we adore, will play the Queen.